The ill-fated “conservative” “comedy” show, The 1/2 Hour News Hour. Even though the show had the inexhaustable resources of Fox News working for it (as well as a vast, angry and ill-informed audience), it was only good for fourteen episodes before being cancelled. Is this really comedy or is it just hack work, an astonishingly unfunny rip-off of SNL’s classic Weekend Update, not to mention The Daily Show and The Colbert Report? Is it possible that it is unfunny because it was running an ideological agenda first and attempting comedy second? And could it be that the witless surliness of it derives from the fact that its targets — unlike SNL, The Daily Show, and The Colbert Report, which take on all comers — were exclusively on what it assumed to be the “wrong” side of the political divide? This entry was posted in TGIF on October 22, 2010 by Michael Happy. “Some people say I’m extreme, but they said the John Birch Society was extreme, too,” – Kelly Khuri, founder, Clark County Tea Party Patriots. And William F Buckley rolls in his grave. But does he really? Buckley had a notorious reputation for nastiness (just a couple of examples here and here) that seems to be pretty consistent with what now passes for mainstream “conservatism,” as the infamous exchange above demonstrates. What was shocking back then is just business as usual today. This entry was posted in Video of the Day on October 22, 2010 by Michael Happy. A Sartre and de Beauvoir screener from the 1950s. On this date in 1964 Jean-Paul Sartre was awarded the Nobel Prize for Literature, which he refused. This entry was posted in Anniversaries on October 22, 2010 by Michael Happy. 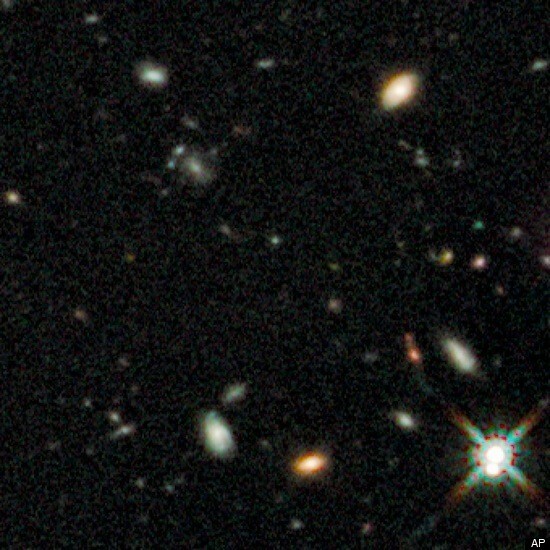 Oldest Galaxy: There it is, in the centre: more than 13 billion years old. Story here. Wiki here. 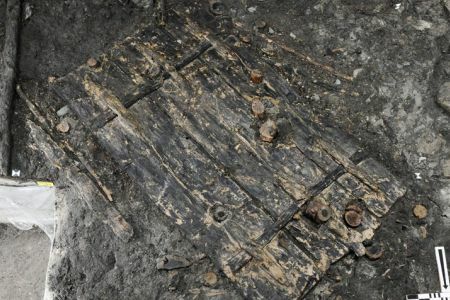 Oldest Door: Carbon dating indicates it is 5000 years old. Story here. This entry was posted in Picture of the Day on October 22, 2010 by Michael Happy.